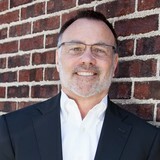 Our People :: Jeff Hagen :: Platinum Properties Group, Inc. While some may see a vacant lot or decrepit building, Jeff Hagen sees an opportunity and already has a plan forming to execute his vision. Hagen, President and CEO of Platinum Properties Group Inc., has been transforming raw land and structures into valuable commercial real estate for over 40 years. With millions of square feet of successful industrial, office, medical and retail projects completed, Hagen knows building the right partnerships and assembling a team of trusted industry experts is key for developing and managing profitable properties that enhance surrounding communities. Through his creative vision and full service expertise, Hagen streamlines the development process at each touch point, including site selection, design, construction, marketing, leasing, and building management. Hagen leverages his passion, commitment to every aspect of the business, strong professionalism, and extensive industry experience to position Platinum Properties Group Inc. as a premier commercial real estate company. In 1980, Hagen graduated from St. Cloud State University with a Bachelor of Science Degree in Real Estate and Insurance with a minor in Economics, and has been a licensed Realtor since 1979. Prior to founding Platinum Properties Group, Inc., Hagen was a sales and leasing professional with Coldwell Banker Commercial Group (CBRE). Hagen has been recognized for his real estate business savvy and received awards including the National Association of Industrial and Office Parks (NAIOP) "Award of Excellence" (2005), City of Hopkins "Image Award" (2003), Minnesota Shopping Center (MSCA) "Star Award" (2002) and the National Association of Industrial and Office Parks (NAIOP) "Creative Transaction of the Year" (1994). He holds the prestigious degree of Certified Commercial Investment Member (CCIM) and engages in many industry associations in the United States. Hagen’s unique ability to see a piece of land or a run-down building, and visualize a new development or how to convert, renovate or repurpose an existing building into an income-producing asset, has earned him the trust of many executive partners. Hagen truly believes no project is too big or too small, and always drives to put together winning deals with the right combination of technology, long-standing relationships and innovative development strategy.